"Were my friends at school when it was bombed?" 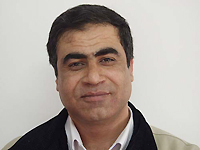 Jawad Harb (C)CARE Jawad Harb is a Palestinian living in Rafah, Gaza, with his wife and six children. Harb has worked with CARE since 2002, managing a program supporting women's centres in Gaza. Since the conflict began Dec. 27, Harb's program has stopped operating because of the constant bombing. My son's school was destroyed today in an air strike. 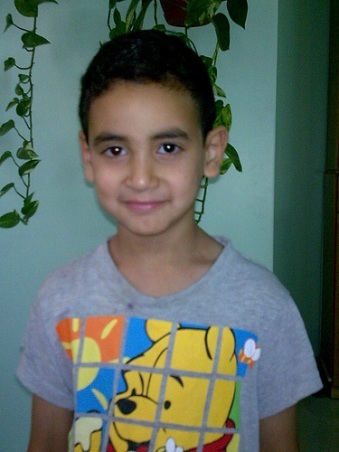 Ziad is just six years old - he started going to school in September. He loves it, especially the physical education class, and art class, where he loves drawing. But for 16 days, since these horrible attacks began, he has not been able to go to school, and he has not seen any of his friends. Throughout all the bombings, and the sleepless nights, the one thing that he looked forward to was going back to school. But now, his school is completely demolished. Ziad, who was told by his brothers about this news, to my astonishment, stood speechless and still like a statute. This frisky little boy was not able to say a word for five minutes. "Dad, am I not going to see my friends again at school?" he finally asked me. "Were my friends at school when it is bombed?" he asked with pain. I tried all ways to calm him down, but he burst out crying for almost an hour. Then it is night, it is the suffering again, it is the time we all fear. The constant air strikes. As the bombs fell, Ziad's temperature rose. He vomited on his bed, became pale and he looked sicker than any time I can remember. It was 3 a.m. when I called my cousin, who is a doctor. But when he checked Ziad, he said there was nothing wrong with him. Ziad opened his eyes at 8 in the morning, and told me "Dad, I will not go to school any more. I am afraid they will bomb it again." I cried for being helpless and as victimized as my children feel. For two weeks now, I have not been able to show my children that I understand how they feel. Nothing hurts more than the horrible feeling that comes when you feel you are losing your child in front of your eyes.